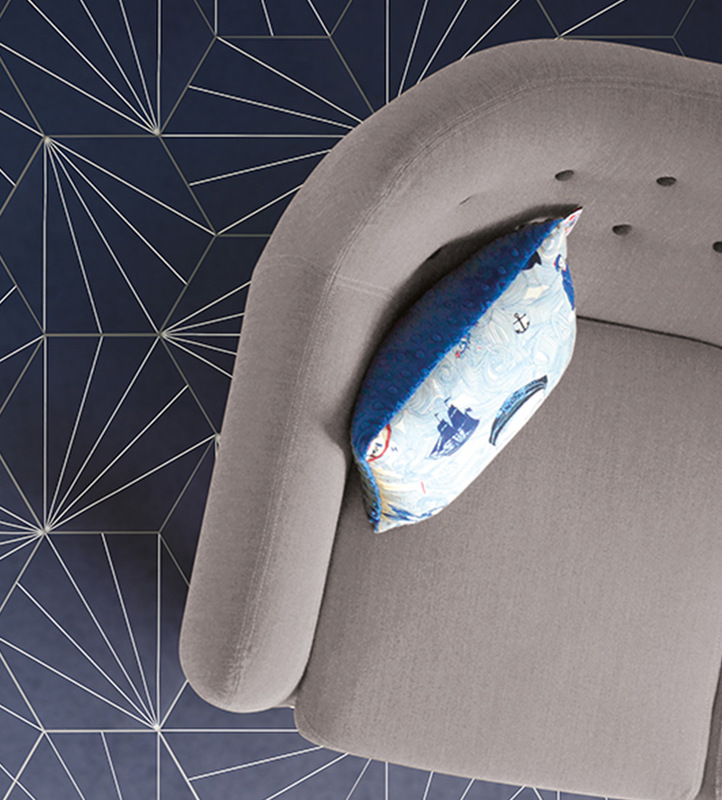 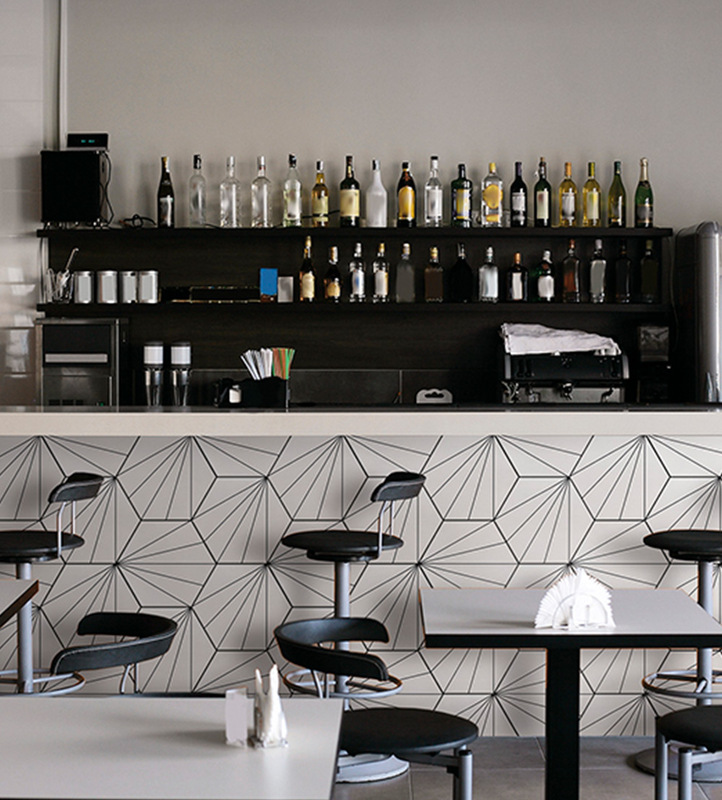 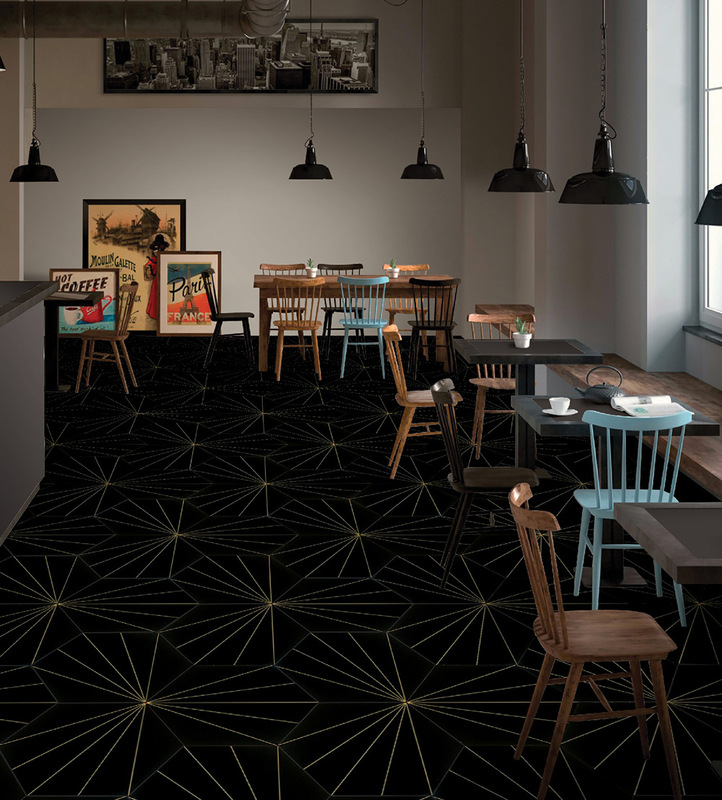 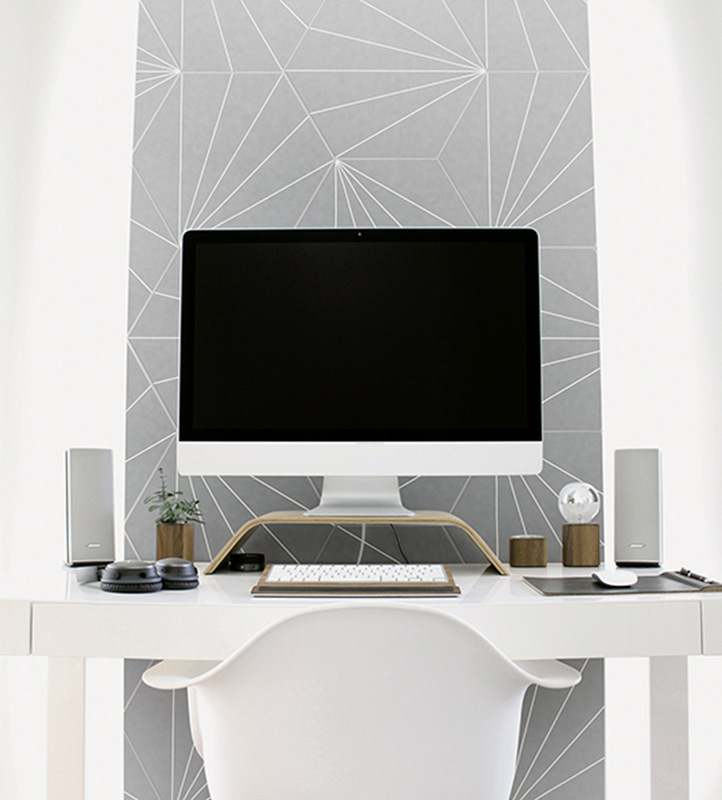 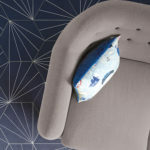 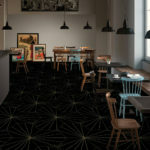 Electra Grande is a series of glazed porcelain tile with printing applications and a unique geometric appearance. 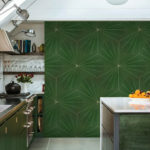 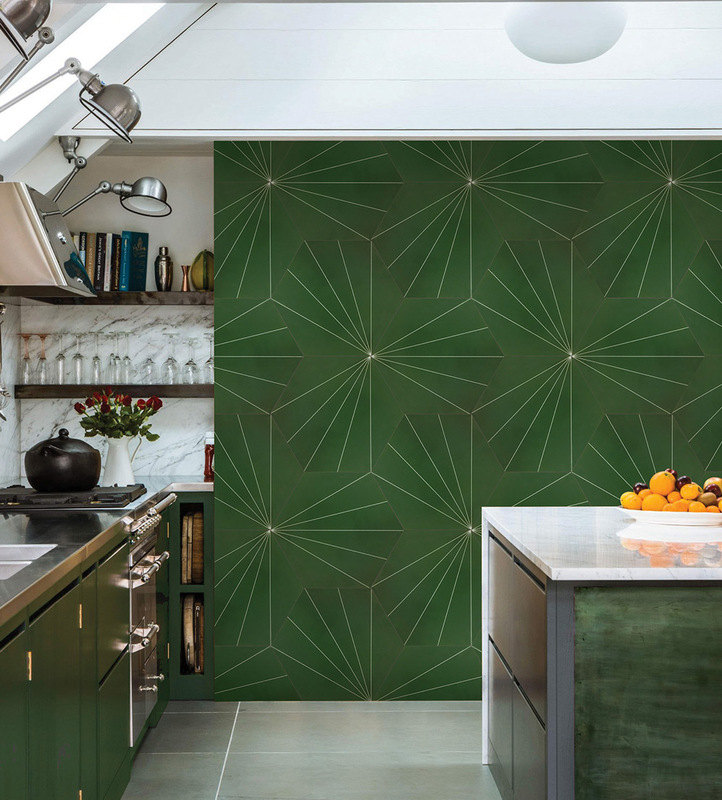 The collection is inspired by encaustic cement tile and has a slightly patinaed look, rather than having consistent, bold coloring throughout each piece. 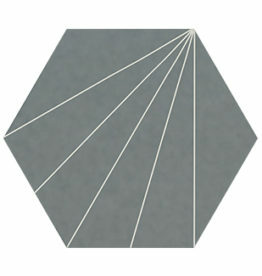 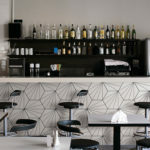 Tiles are oversized hexagons with lines projecting across the surface. 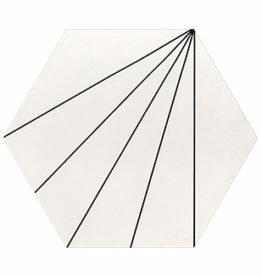 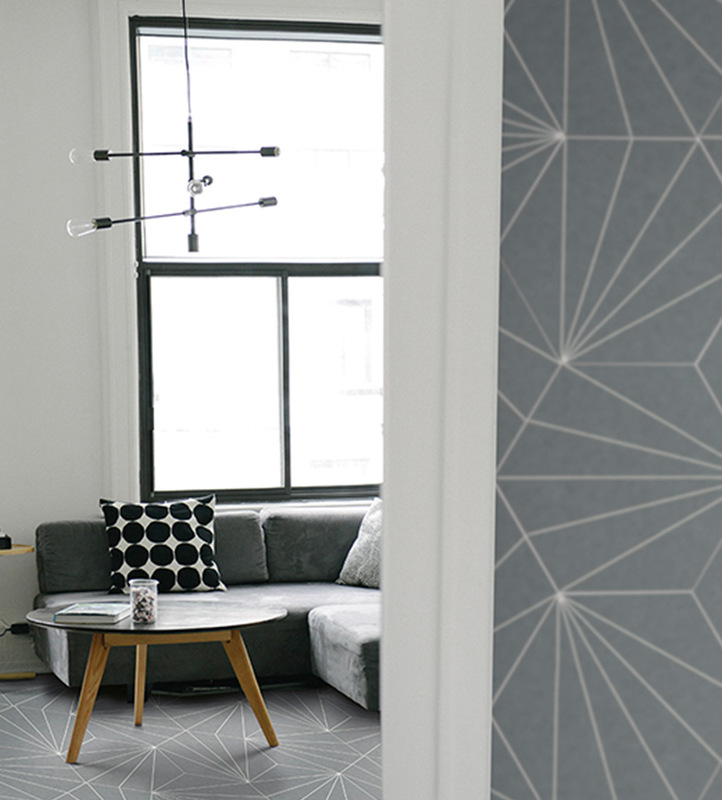 Once the material is installed, the lines create a geometric pattern of their own. 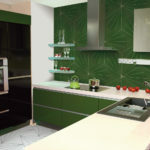 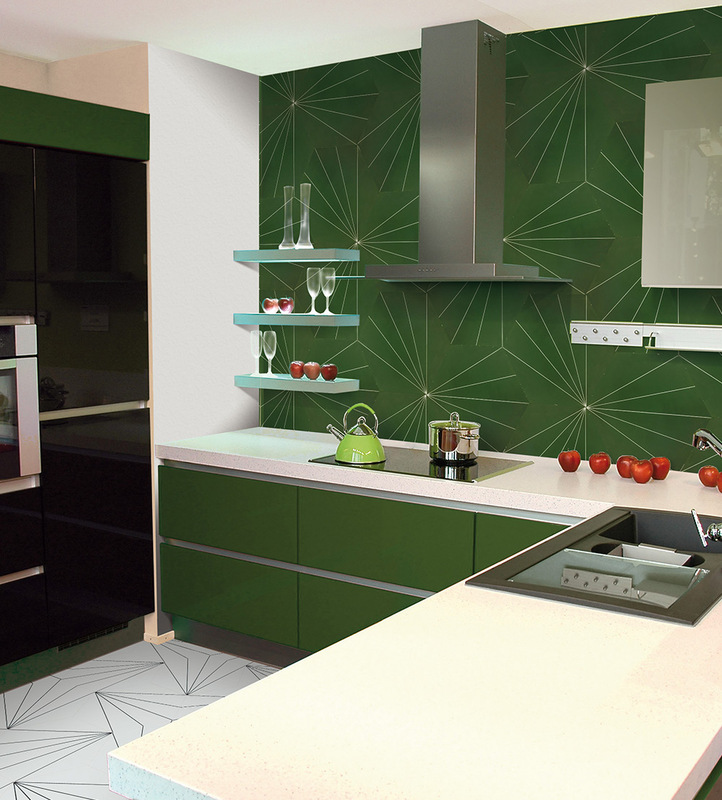 Tiles can be installed to form various patterns for floor and wall.